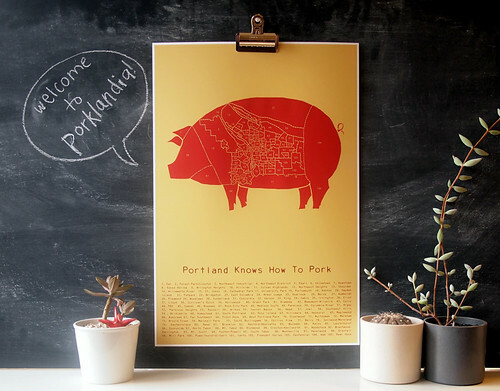 Back to the left coast is the fourth in the "Meat My City" poster series: Portland! 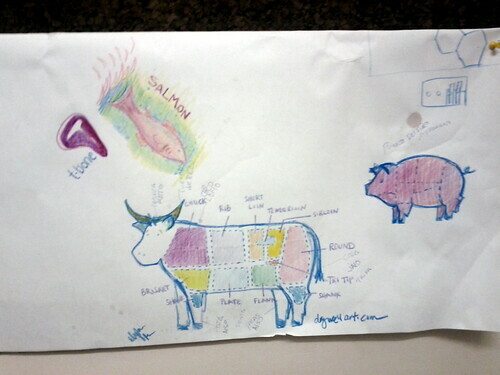 This is a poster of a hand-drawn map of Portland neighborhoods, in the form of a pig butchery diagram. In addition to the (MANY!) 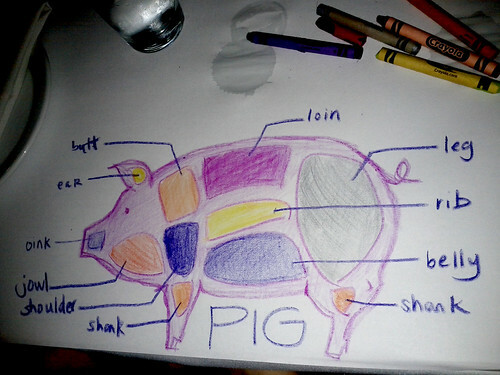 neighborhoods, there are some pig parts diagrammed, like ham, jowl, secret bacon, etc. 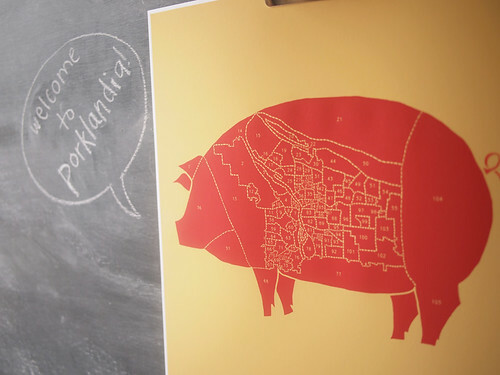 As I mentioned earlier this year, I'll be donating 10% of the sale price of each poster to a food charity in each city. 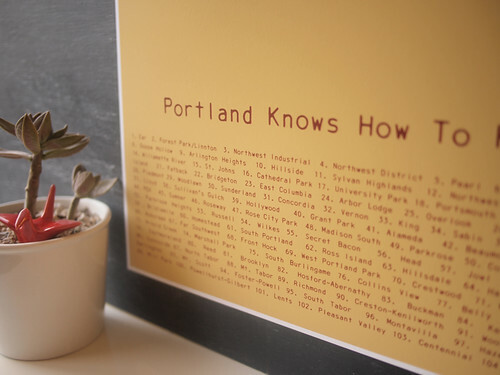 For each Portland poster sold, I'll donate $2.50 to the Oregon Food Bank. The poster is available in my shop, right here. *I may or may not be watching a lot of Portlandia lately. 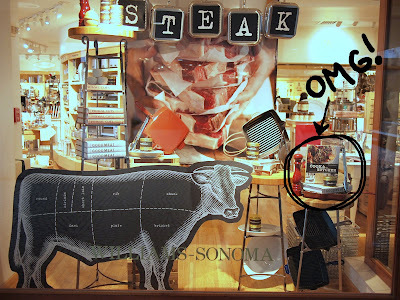 STEAK window display @ Williams Sonoma, featuring "The Cook and The Butcher"
The Cook and The Butcher is a meat cookbook (obviously) written by Brigit Brinns with FAQs answered by Tom Moylan, of the Meat Hook in Brooklyn. 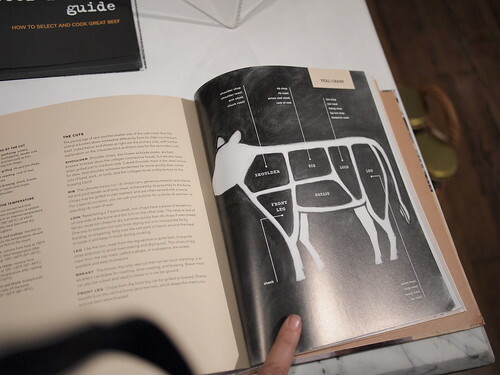 It is helpfully broken into chapters by animal - cow, pig, veal, and lamb - and then further into recipes for each primal cut for each animal. 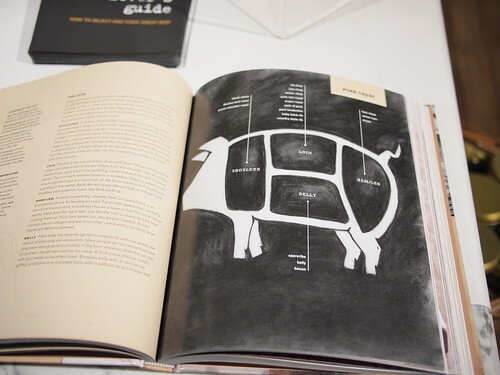 At the beginning of each chapter, you'll see a badass charcoal butchery diagram illustration by me. 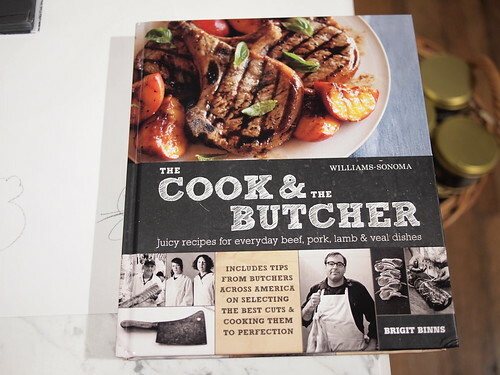 The publisher, Weldon Owen, contacted me back in September last year after stumbling across my work on Etsy. I was floored, to say the least. 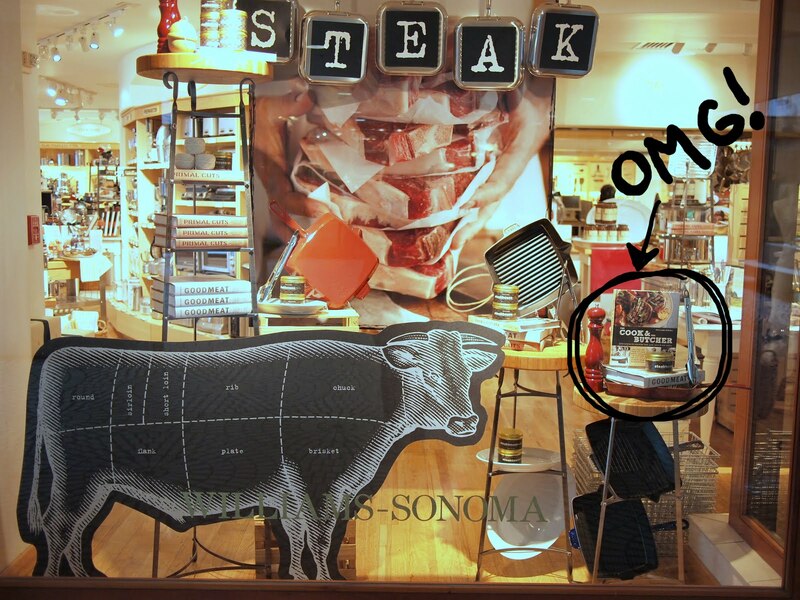 I love Williams Sonoma and it was quite an honor to have my art in one of their cookbooks. 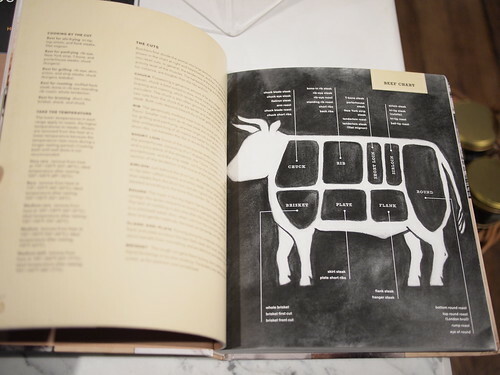 Hooray for being able to add "cookbook illustrator" to my burgeoning art resume!! * There was a snafu in the initial printing, where my credit line was accidentally omitted. 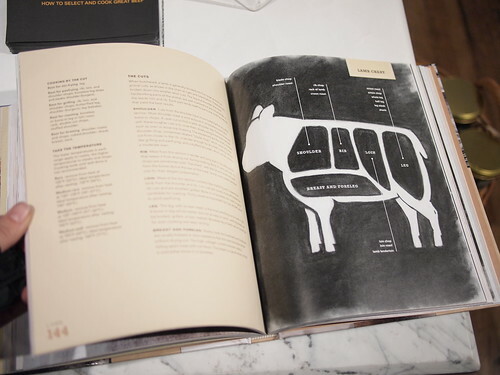 It will most definitely be in the larger wider release of the book, however!!! 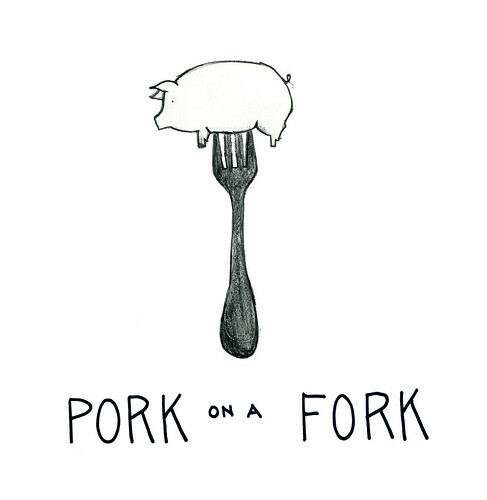 I apparently didn't get the memo until late in the day, but March 1st is National Pork Day. Which is of course super great. I whipped up this little sketch in honor of the sacred day.